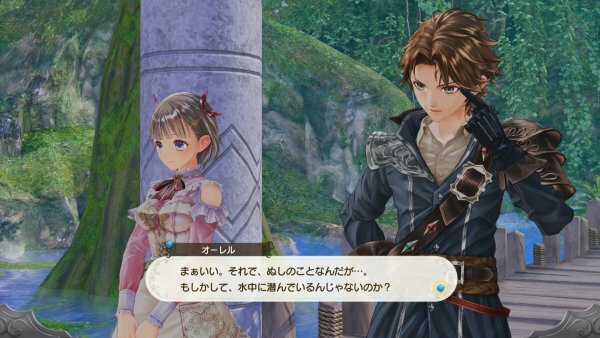 Two more Arland series characters return. 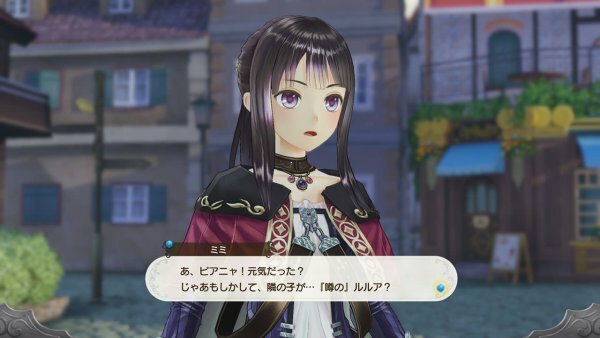 Koei Tecmo and Gust have released new information and screenshots of Atelier Lulua: The Scion of Arland introducing returning characters Totooria “Totori” Helmold and Mimi Houllier von Schwarzlang, more on the Alchemy Riddle and Lulua’s journey, the evolved world of Arland, and the new “Awakening Effect” synthesis system. An alchemy evangelist expanding worldwide. 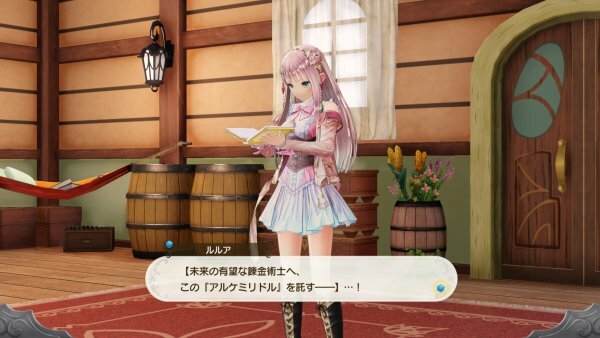 An alchemist and disciple of Rorona. 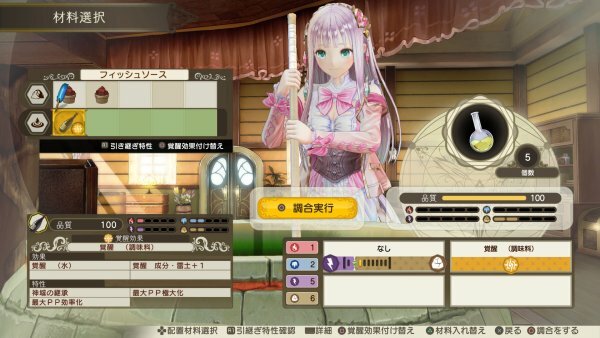 Her skills in alchemy rival Rorona’s, and she is an influential player in alchemy in Arland. 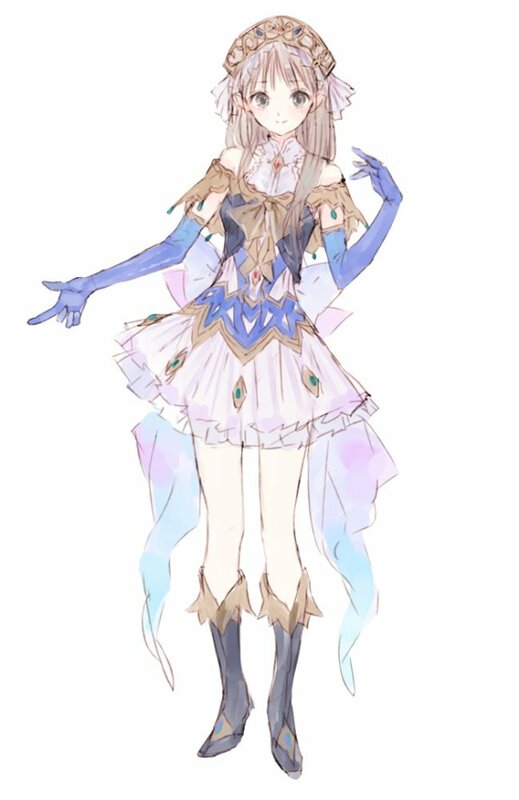 She shares a blood sister-like relationship with Piana, and is currently working to take her alchemy worldwide. While she has long often unconsciously given others a sharp tongue, nowadays she seems to be a lot more mindful. A woman who serves as Totori’s convoy. 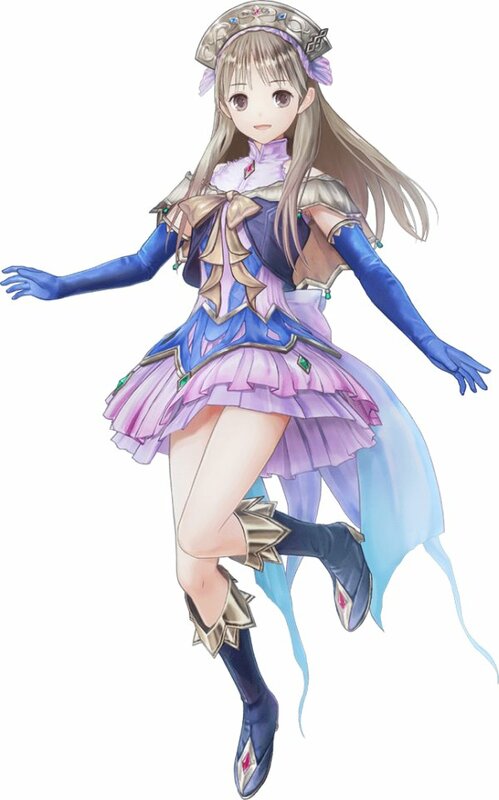 She is the most influential among adventurers in Arland, and her spearmanship skills are among its best. 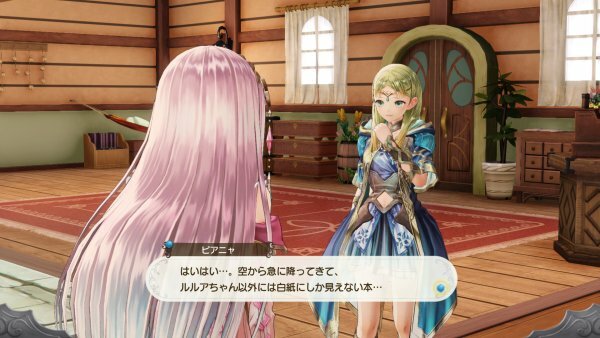 She is close friends with Totori, who she travels with and is irreplaceable in her eyes. Originally from a city of nobles, she is prideful and determined. 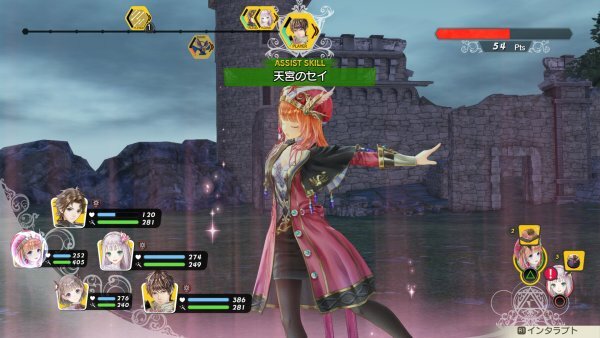 The Alchemy Riddle is an ancient text that only Lulua can read. 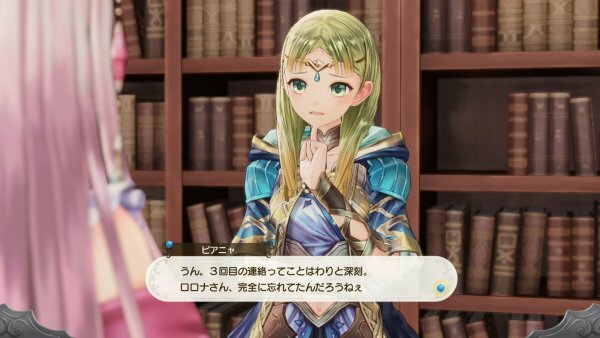 When Lulua is in a pinch, it will suddenly emit a light, and alchemy-related information will rise to the surface. What is the truth behind the mysterious Alchemy Riddle…? 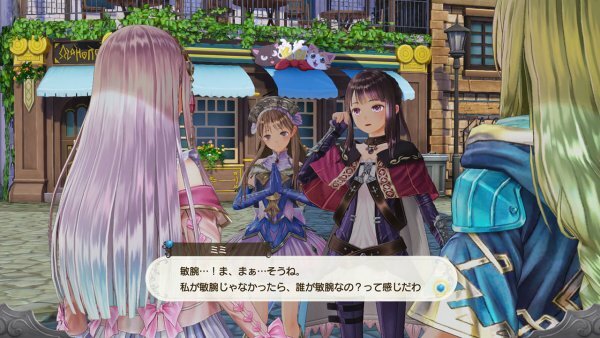 The Survival of the Atelier is in Danger!? 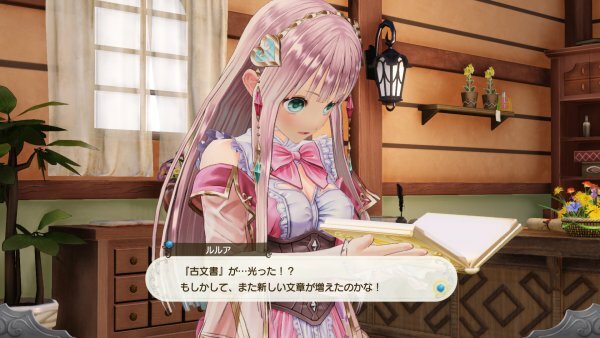 A letter arrives for Rorona during her absense. 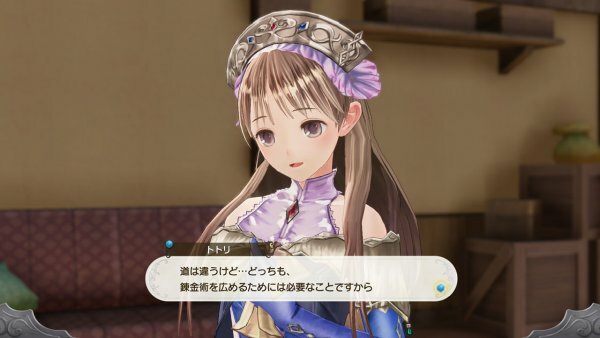 The letter is a notice from the Arland Republic that the business license for Rorona’s atelier wll expire. 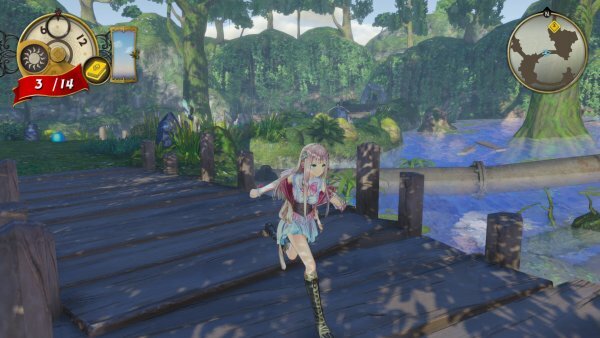 In order to save her mother’s atelier, Lulua sets off for Arland. 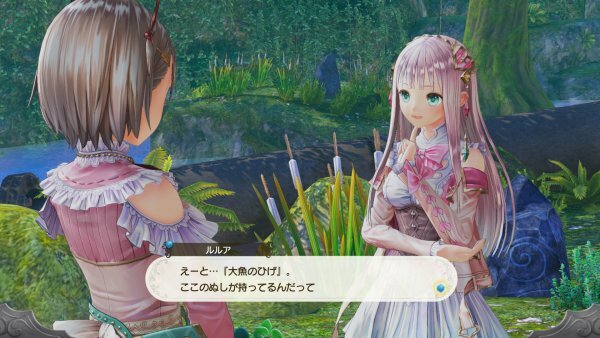 Lulua is in panic about the possible disappearance of her beloved mother’s atelier, but with Piana’s advice, she heads to Arland. Lulua’s hear hammers on the journey to her mother’s birthplace. What encounters and adventures await on this journey—? 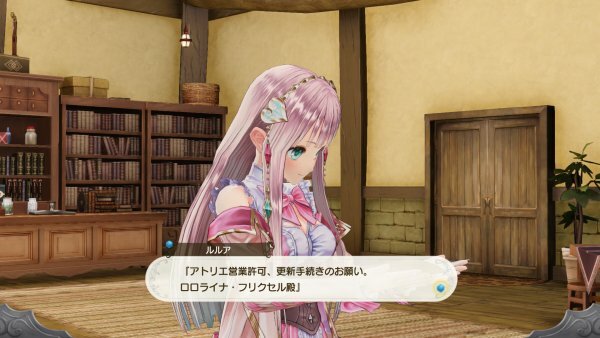 The exploration of Atelier Lulua: The Scion of Arland is based on that of Atelier Totori: The Adventurer of Arland. 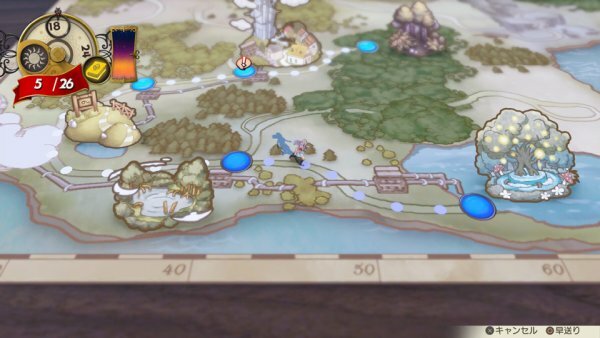 The system sees players explore maps to unlock new maps. 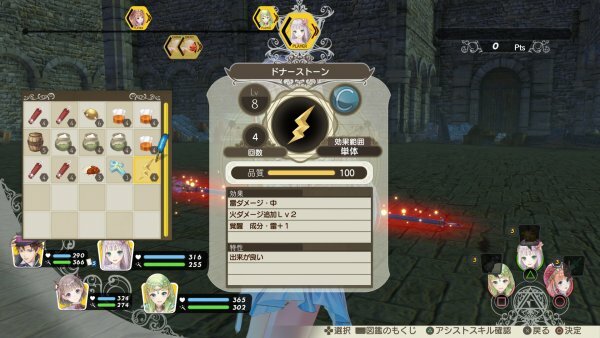 New maps will also appear by deciphering the Alchemy Riddle. 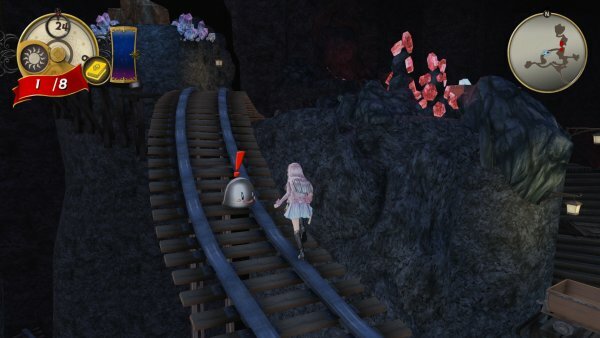 By gathering information on the monsters and collectible items that appear on a map, that map’s “Exploration Percentage” will rise. When Exploration Percentage reaches 100 percent, the chance of finding high quality items increases. —Gradually battle and explore, and the map’s Exploration Percentage will rise! 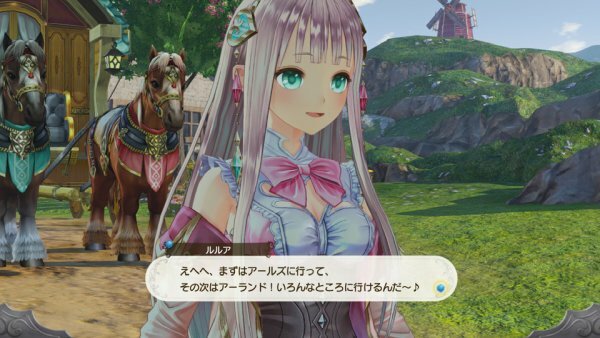 —A road that Lulua visits early in the game. While the path ahead is blockaded, will the day come that she can proceed? —A rock that can only be broken with a special item. Is it good to break? 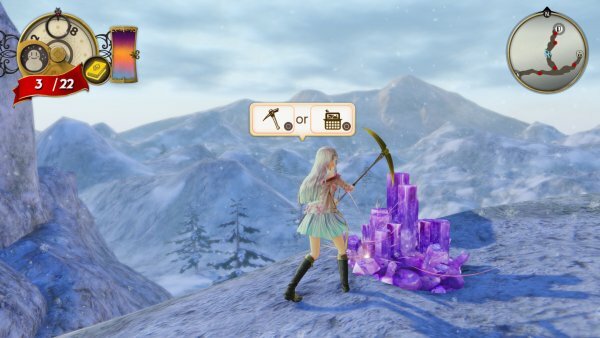 —A map that previously appeared in the Arland series. 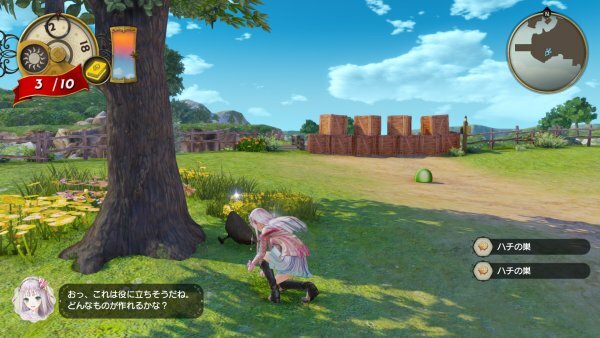 Lulua and company attack the Stone Puni. The Eternal Spring Water Woods is a map of clear air and beautiful water. It is also Arculis’ source of water. 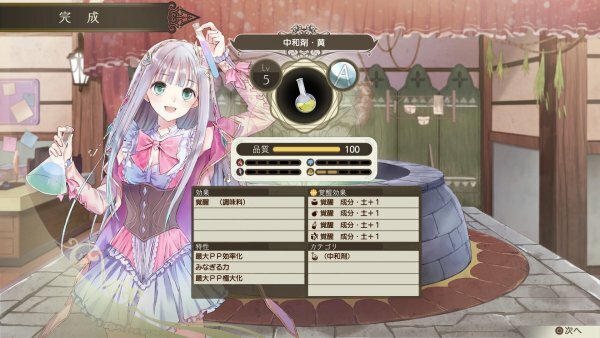 In order synthesize an item requested by Aurel, the Alchemy Riddle guides Lulua and company here in search of the ingredients. ■ Awakening Effects: More Control Over Synthesis! Draw Out Materials’ Hidden Powers! 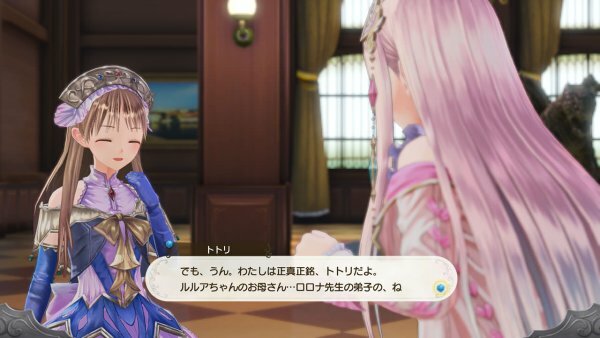 Atelier Lulua: The Scion of Arland introduces a new synthesis element called “Awakening Effect.” An Awakening Effect is the hidden effect originally possessed by a material, and by synthesizing with an item that possesses an Awakening Effect as an ingredient, you can create items with effects that do not appear in standard synthesis. 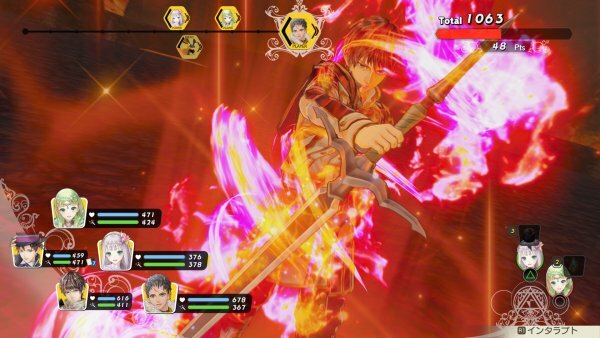 —When synthesizing a Donor Stone, if you use an ingredient with an “Additional Fire Damage” Awakening Effect, the Donor Stone will have both its traditional “Thunder Damage” effect and the additional “Fire Damage” effect. 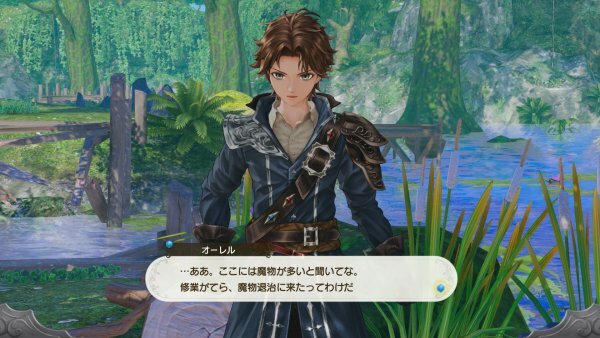 There are various Awakening Effects. 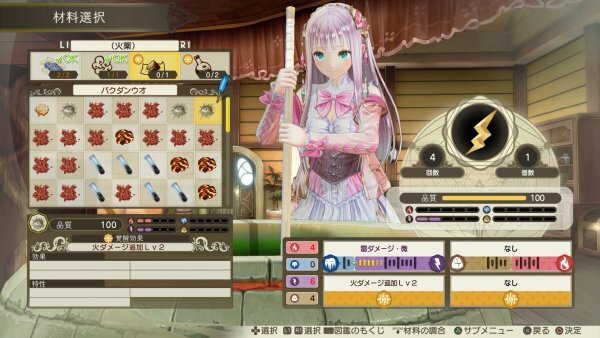 Do not overlook those that can add new categories to synthesized items. For example, when you apply the “Awakening (Flavoring)” effect to the neutralizing agent, the neutralizing agent that would normally be a different category can be used for synthesizing ingredients from the Flavoring category, too. 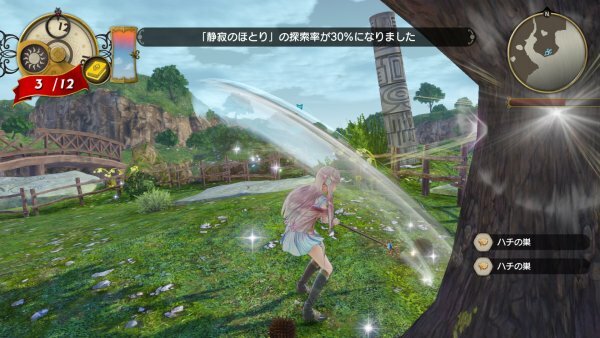 Atelier Lulua: The Scion of Arland is due out for PlayStation 4 and Switch on March 20 in Japan, and for PlayStation 4, Switch, and PC in North America and Europe this spring.